American University is a student-centered research institution located in Washington, DC, with highly-ranked schools and colleges, internationally-renowned faculty, and a reputation for creating meaningful change in the world. Chartered by Congress in 1893, AU currently has 8 schools with over 160 programs serving over 12,000 undergraduate, graduate and law students. Our students distinguish themselves for their service, leadership, and ability to rethink global and domestic challenges and opportunities. Student Activities is one of thirteen administrative units in the Office of Campus Life. Student Government, Programming, Student Media, Student Organizations and Fraternity & Sorority Life are housed under Student Activities. The Coordinator works collaboratively with the Student Activities staff and institutional partners to promote the development and success of recognized student organizations on campus. The Coordinator for Student Involvement is an integral part of the Student Activities team and is responsible for advising the American University Club Council on leadership, fiscal, and programmatic matters. The Coordinator will work with the Associate Director to develop student trainings and policy creation for student organizations. This position will also advise the Student Government Senate with the Director of Student Activities. This position supervises a part-time assistant and will work with the Director of Student Activities to manage the Campuslabs administrative system for the department. Master’s degree in college student personnel, education, or related field required. Experience with student organization development and advising highly desirable. Hiring offers for this position are contingent on successful completion of a background check. Some weekend and evening hours are required. Expand your career path by adding knowledge each step of the way. Because your future is worth the investment! 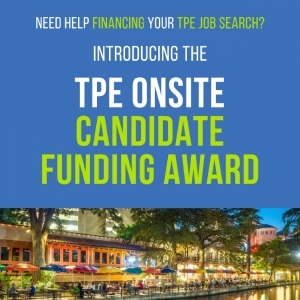 The Placement Exchange is pleased to announce a funding award to help first-time candidates attend the TPE Onsite Spring 2019 event in Los Angeles! The funding award will create an opportunity for candidates, who otherwise experience financial hardship by attending TPE, to receive some financial assistanceto help defray expenses associated with participating in the event. 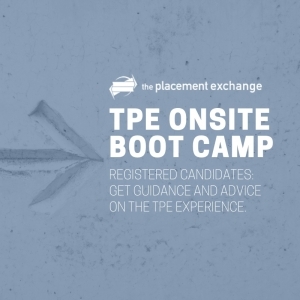 As a registered TPE Onsite candidate, The Placement Exchange invites you to participate in an pre-TPE event session for additional preparation, early onsite access, and advice on the TPE experience. 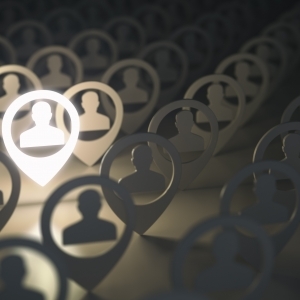 As the recruitment season comes to an end and that new job is about to begin, it’s time to think about what “success” will look like for your new position. Your resume is your first impression and a narrative of your education and work experience. However, choosing the right format for your resume that highlights your achievement can be a daunting experience. 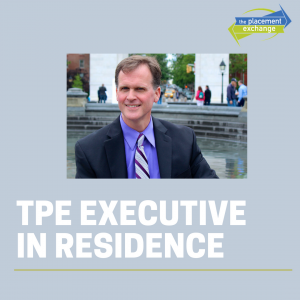 TPE Executive-in-Residence Post: When constructing a search process to recruit and identify new team members it is important to us that our aspirations are the lens through which potential candidates view the position, division, and university. Do you have a question for the employer? Submit your question. Do you want to apply for the job? Upload your resume file. 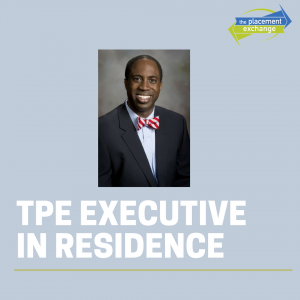 The Placement Exchange is your definitive resource for the Student Affairs job placement process. With dynamic, online information, powerful networking opportunities, and a first-class job placement event, The Placement Exchange is dedicated to helping candidates find that perfect job and helping institutions find that perfect hire. Volunteer for The Placement Exchange! © 2009 - 2019 The Placement Exchange. All Rights Reserved.